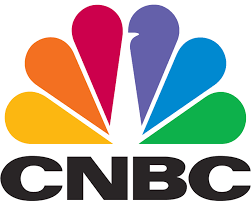 Tens of thousands of analysts in a myriad of hedge, mutual, and pension funds across the U.S. spend countless hours every day searching for the most compelling sources of alpha – active, excess investment return – in the global markets. It is the Holy Grail of Wall Street and the key to financial outperformance and success. Undiscovered alpha is a bit like finding a $100 bill on a Wall Street sidewalk – as the saying goes, no one would pick it up because it couldn’t possibly be there. But what if a compelling, undiscovered source of alpha was hiding in plain sight, and identified not by well-paid analysts, but by the citizens of Main Street? Our latest paper – Looking for Returns? Ask the American People – analyzes U.S. companies performing best on the priorities of the American public – including worker treatment, customer experience, product quality, community support, job growth, environmental impact, and ethical leadership. We found that these companies cumulatively outperformed the Russell 1000 by 456 basis points (bp), or 215 bp annualized, from November 2016 to September 2018, and that 83% of their financial outperformance can be attributed to alpha, not standard return factors. The report unpacks how the JUST U.S. Large Cap Diversified Index – which is also used as the benchmark for GSAM’s JUST ETF – has performed in live, out-of-sample trading since its launch, as well as its simulated (backtest) performance. 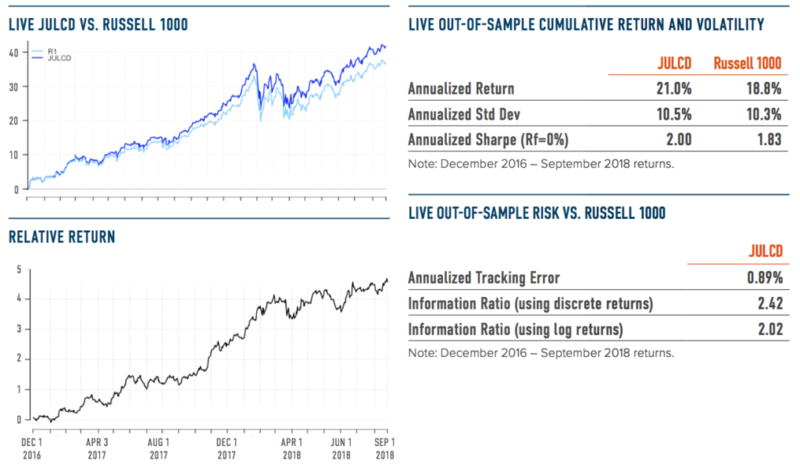 Through September 28th, the JULCD has outperformed the Russell 1000 by 1.27% year-to-date, 2.36% over the past year, and 4.56% since its inception on Nov 30, 2016. A second companion paper, The Win-Win of Just Business Behavior, focuses on worker pay and well-being – which the American public ranks as its top priority when it comes to just business behavior, and identifies three ways that companies can improve worker treatment while maximizing profits. Specifically, the paper finds companies that promote work-life balance, provide career-development opportunities, and implement anti-discrimination measures consistently generate higher returns-on-equity. The paper finds that these conclusions hold regardless of industry. These two papers showcase a key theme in our ongoing research – that being just is not only good for society, it’s good for business. Read more about our work on this topic, as well as our collaboration with GSAM on the launch the JUST ETF – the first ever exchange-traded fund designed to align with the American public’s priorities for just businesses.